Hi friends! Are you ready for some football? If you’re like my family, then you’re likely glued to the NFL Playoffs that are well underway at this point. And the only thing more fun than game day is game day food, amiright?! Well today I have the perfect recipe for your next game day or summer BBQ and it’s made in that new Instant Pot you just got for Christmas, Instant Pot BBQ Pulled Pork! 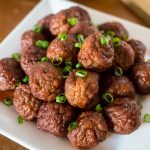 The process is simple, grab a pork shoulder and whip up some homemade BBQ sauce with ingredients you likely have in your refrigerator! 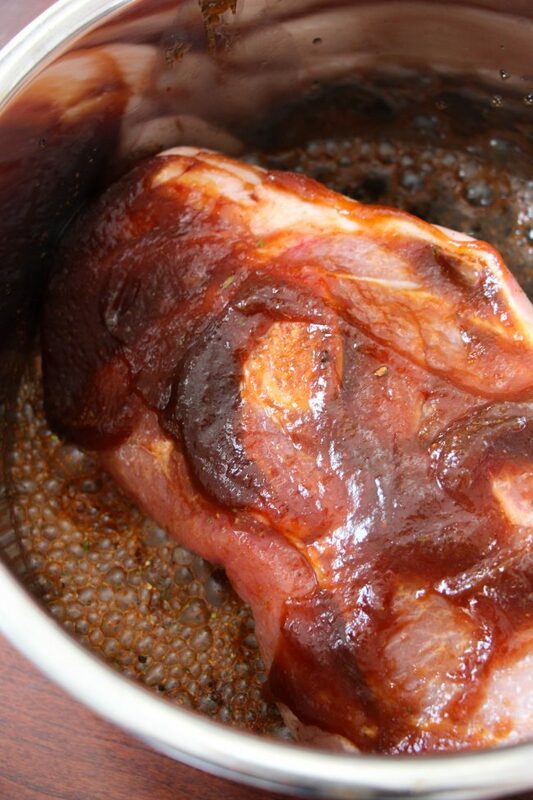 Then add your pork shoulder to the Instant Pot, top with BBQ sauce, add seasoning then rub that in. 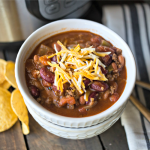 Set your Instant Pot on Manual for 60 minutes (or if you have another type of pressure cooker, high pressure for 60 minutes) and once that’s up, Natural Release. 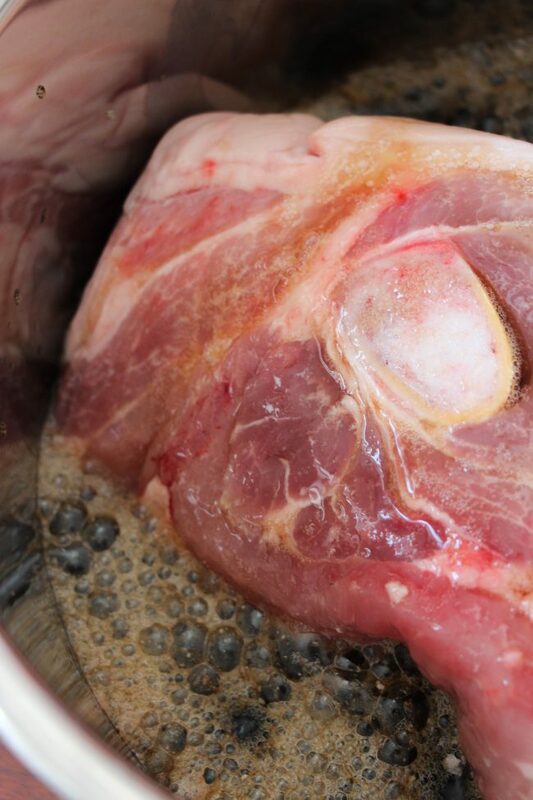 After Natural Release, use two forks to shred the pork. 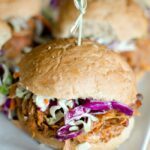 Now you can serve the Pulled Pork right away, but at this point I like to pull out any bones and fat from the Instant Pot and let the meat marinate for a bit longer in the BBQ sauce. In fact I feel like if you let it set another good 30 minutes on the warming period the meat is even more tender and juicy for your pulled pork sandwiches! 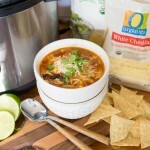 Now the coup de gras for this easy recipe is how you serve it. 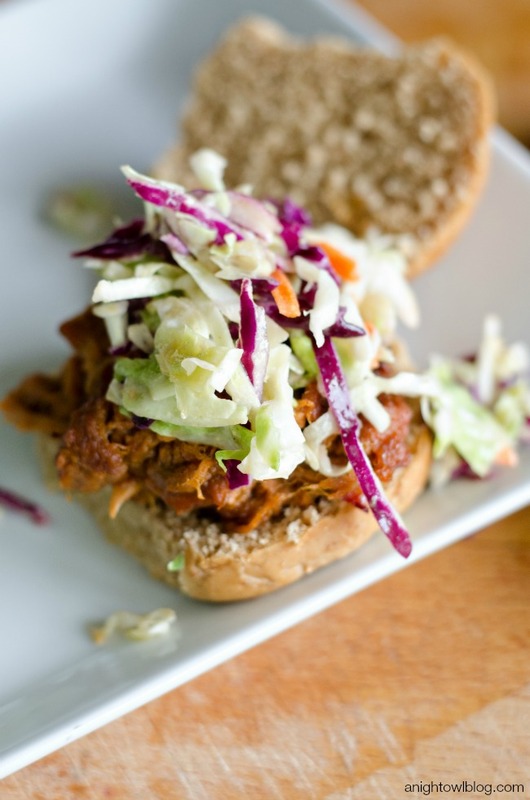 I like to use slider buns, add a little BBQ Pulled Pork then top with coleslaw. That’s right! Forget serving it on the side, right on top makes for one tasty sammy! And if you’re feeling frisky, you can whip up our favorite homemade Dijon Agave Slaw. Epic. 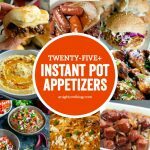 So put that new appliance to good use this game day or for your next summer BBQ and make some Instant Pot BBQ Pulled Pork! If you give it a try, let us know what you think! 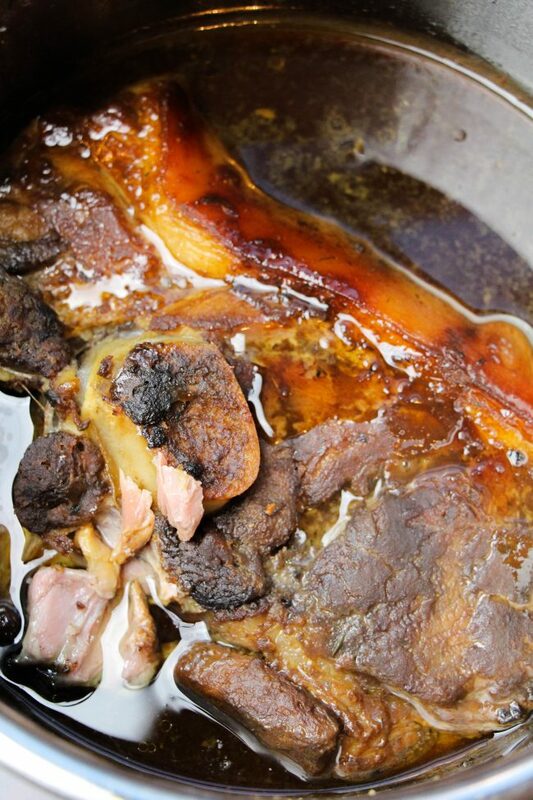 In a small bowl, combine the soda or vinegar, ketchup, brown sugar, molasses, and worcestershire sauce. 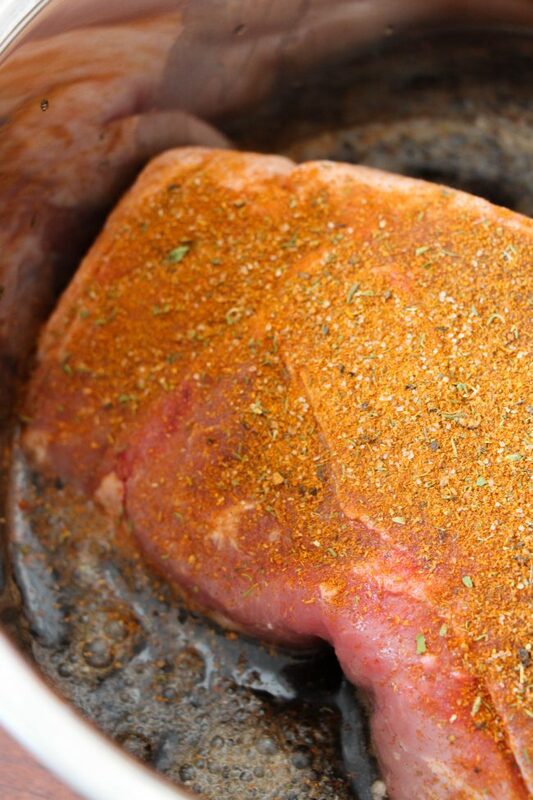 Now sprinkle the seasoning on top of the pork shoulder and rub it in, ensuring that you cover it completely to make a nice bark. Shred the pork with two forks and add additional BBQ sauce if you so desire. 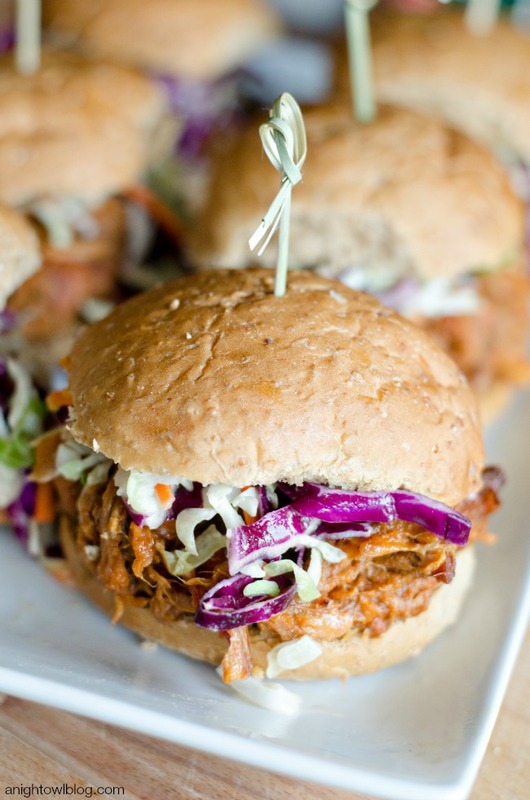 When ready, serve on slider buns with your favorite coleslaw.